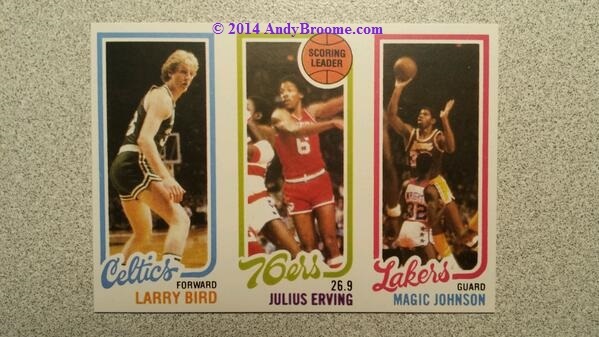 Surprisingly, the 1980-81 Topps Larry Bird, Julius Erving and Magic Johnson rookie card is not one of the common counterfeit key rookie cards I see on a daily basis. In fact, this particular example is the first I have seen in several years. This wasn’t a particular difficult fake to spot. The printing was not bad but the perforations that separate the three panels were missing. That alone was an instant red flag. If the perfs had been added, this would have been a more difficult fake to sport quickly.